Designed for the fashion forward pet, Rubie’s pet costume collection features hundreds of non-licensed and licensed costumes including: Star Wars, Batman, Superman, Hello Kitty, Ghostbusters, Elvis and the Wizard of Oz. 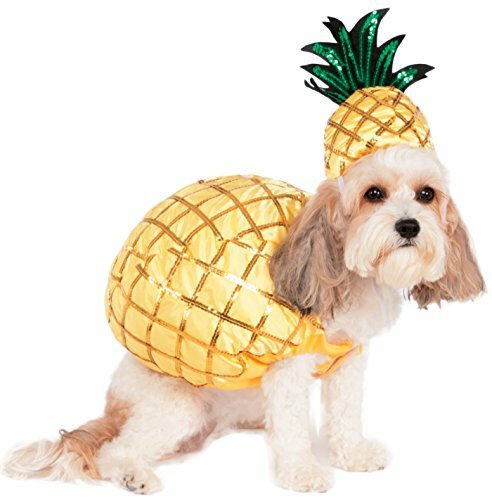 The vast selection of pet costumes extends beyond Halloween to other special occasions such as Easter, 4th of July, St. Patrick’s day, Christmas and more! In addition, this unique line of accessories includes wigs, hats, tutus, bandanas, wings and hair bows. From princesses and pirates to hot dogs and tacos, each Rubie’s costume is carefully constructed for comfortable fit and is available in a variety of sizes ranging from XS to XXL. Please note: different breeds have different proportions. Rubie’s Pet Shop Boutique suggests going a size up if you are unsure of what size to get.